Long Leasehold, Blue-Chip Medical Investment in London. Forming part of a retail parade comprising a Ground Floor Shop together with a rear yard. Surbiton is an affluent commuter town located approximately 11 miles south-west of central London and 1 mile south of Kingston. Surbiton Rail Station provides a direct rail service to London Waterloo whilst the town benefits from good road access via the A3. 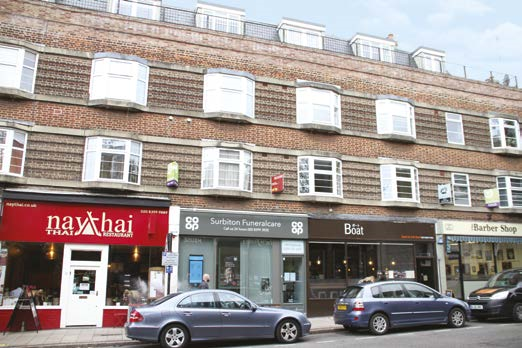 Close to the junction with Victoria Road and Surbiton Rail Station in the heart of the town centre, nearby multiples such as Lloyds Bank, HSBC, Pizza Express, Specsavers, William Hill and many others. Leasehold for a term of 125 years (less 3 days) from 25th December 1979 (thus having approx. 86 years unexpired) at a fixed ground rent of £25 p.a.